Do you want to know a secret? 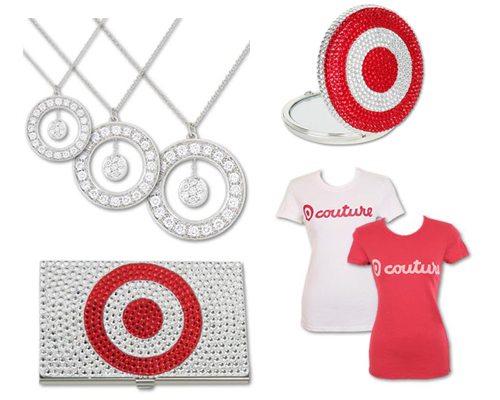 I’m addicted to shopping, but I don’t shop at just any store, I shop at Target. You know, the store with big red target logo and the catchy TV ads. Shopping makes me feel better when I’m feeling blue, and since I’ve been feeling rotten for the last couple of days, I hopped into my car yesterday and drove to Target to get some needed therapy. It’s not that I don’t like seeing my patients, it’s just that I have a bad memory for names, and I don’t like hurting people’s feelings. The youngster must have read my mind because she gave me a little smile and reminded me of her name. She became more comfortable as we chatted about her new boyfriend and her school activities, but I got the sense that she was working up the courage to tell me something important. She finally took a deep breath and told me what was really on her mind. She told me that she plans to go to nursing school someday because of me. I felt my jaw drop, and after a few seconds of stunned silence, I asked her why. She said that I had been her favorite nurse because I’m a little nutty, and because I listened to her when she talked about her feelings. She said that I made a difference in her life. Then the girl’s mother walked out of the store and they went on their way. My mood lifted as I tossed the kitty litter and detergent in the back of my car. It’s nice to know that you really can make the difference in someone’s life. There are days when every nurse needs a little Target therapy. We all need a little therapy and you just gave us some. Thank you kindly. We don't have a Target in Britain. Am I deprived? I engaged in a little Target therapy myself today. How nice to get an attagirl from an unexpected source. You are my hero. Thank you for being hers, too. Totally love the Target. Or as we say in my house, "Tar-zhay", cuz we're classy. How nice to get such a lift from a former patient. Acknowledgement seems to happen so rarely and yet it makes such a difference. It really gives you(and me)the strength to get through those periods when you think,"why the hell am I doing this?" Alas, my Podunk doesn't have a Target. But there's one in a town about an hour and a half away. I like their stuff. that must have felt awesome! i love it when i am reminded i make a difference...it is priceless. Tom Brokaw said "It's easy to make a buck. It's a lot tougher to make a difference." Way to go MJ! This is the kind of reinforcement that the job is worth it!! I was on a psych ward for about a week in December. I said, maybe, a dozen words while I was there. Depression, etc. Admitted to the same psych ward three months later, I was surprised that one of the techs remembered me from last time & took me under her wing, so to speak. It was really touching. And you /do/ make a difference. Who do you think the patients remember, years after a stay? The nurses (and techs!) that looked after them. I still have very fond memories of the nurses on the ped psych ward -- and I can say that it was their "tough love" that helped me move past my own issues. ..have a gander at mysite and get a head start in management. there is so little at the moment on the net for nurses wanting to know more about management that i thought that i should create a blog for all of us . That is a really great story. It feels good to know when we've affected someone in a positive way, and it sounds like you did a great job representing the profession. My mom's a nurse, as is my wonderful (said without irony) mother-in-law, so I know first hand all you guys can do. In Defense of Nurse Ratched.